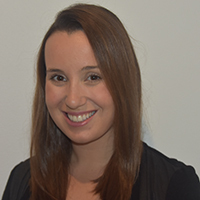 Vanessa is a Clinical Psychologist who is passionate about working with children and families. She is experienced in the assessment and treatment of children presenting with developmental, learning, behavioural, emotional and social difficulties. Vanessa’s background includes providing specialised diagnostic assessments for developmental delay, intellectual disability, Autism Spectrum Disorder, Attention Deficit Hyperactivity Disorder, behaviour, anxiety and mood disorders, specific learning disorders, complex trauma and attachment difficulties. She believes in the importance of a holistic approach when working with families to help them reach their goals and very much values working within a multidisciplinary team. Vanessa has specialised experience in the use of technology in the delivery of evidence-based therapies with children and families.